Happy Friday!! I don’t know about you, but I am so ready for the weekend. No traveling and no plans…well aside from cleaning my raggedy house. I honestly don’t know how working wives keep their houses clean, especially if they have children. My house hasn’t had a good deep cleaning since I started working full time. Perhaps the pregnancy induced laziness is to blame but really, it has to end! I digress. 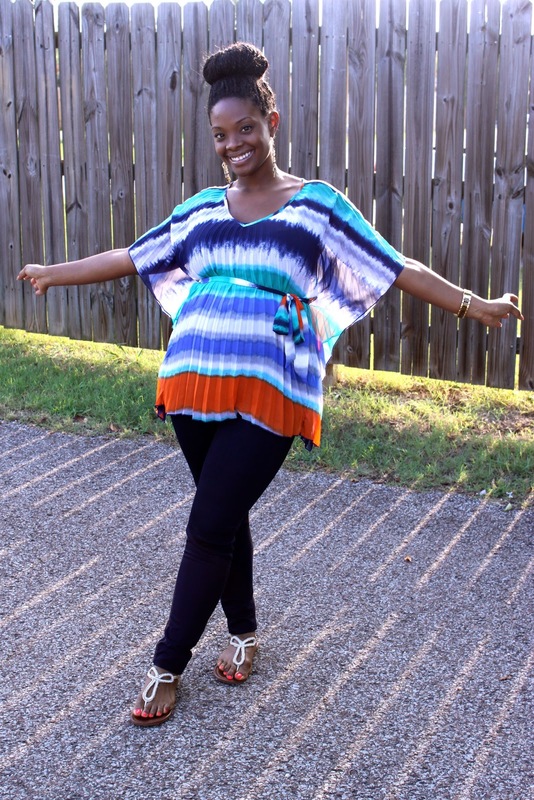 This is my absolute favorite piece of maternity clothing! 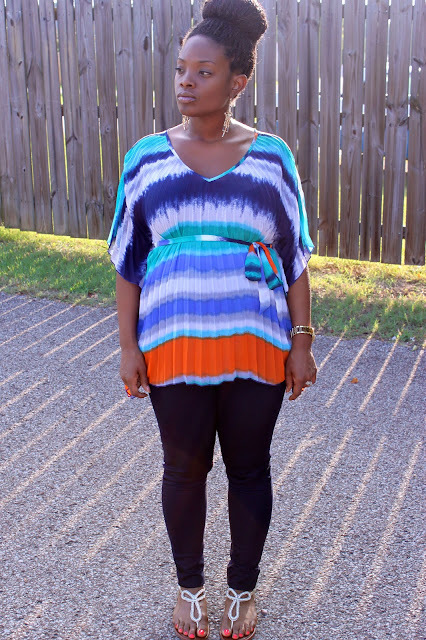 I love the flow of this blouse, not to mention the super vibrant colors. After realizing that it had been worn twice without posting pics, I figured it might be nice to see it styled two different ways. Which look do you like best? You look Ab Fab Gabe. You are looking gorgeous! 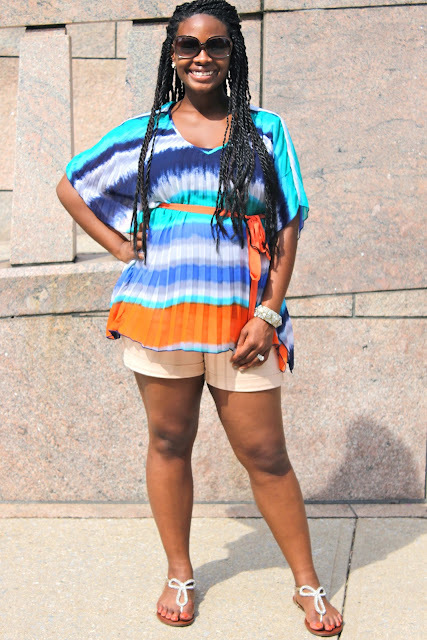 I love both looks but the pop of orange and the comfy of the shorts is my fave. So stylish and chic–pregnancy is such a blessing–enjoy every moment.